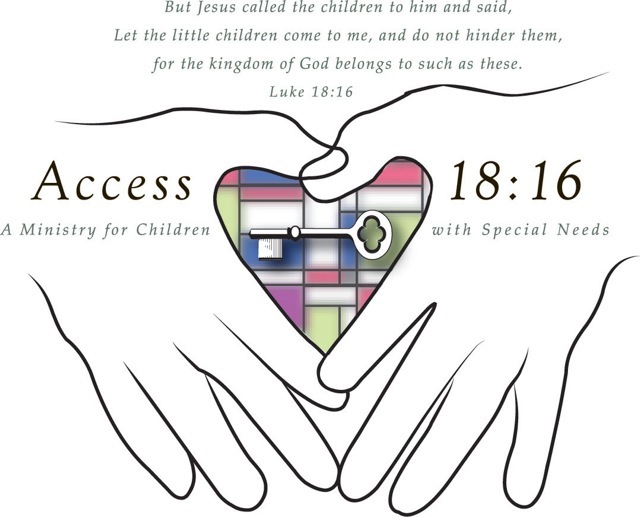 Access 18:16 takes its name from Luke 18:16, in which Jesus said “do not hinder” children from coming to Him. The ministry seeks to remove barriers that may hinder families with special-needs children from attending church. To welcome families affected by special needs to a place of love, acceptance, and encouragement in an authentic Christ-centered community. Establish connections between individuals and families affected by special needs and our church community. Integrate individuals with disabilities into the life of our church body, giving them an opportunity to have active roles in serving God. Provide opportunities for individuals with special needs to learn about God's love in a way that is accessible to them. CCC staff and volunteers are equipped and eager to serve children with disabilities. We serve all ages of individuals with disabilities and provide a continuum of support to meet a variety of needs. For example, some children with special needs may need a buddy to accompany them in a Kingdom Kids classroom, while others may require their own classroom for a quieter environment. We want to serve your child in the way that best meets his or her needs. To learn more, please contact Shelley Walls, Access 18:16 founder and director.